Iraqi prime minister Haydar al-Abadi announced Friday that after the city of Ramadi was recovered from Daesh (ISIS, ISIL), the Iraqi army would go on to liberate Mosul (a city of some 2 million before Daesh took it), 420 km. north of Ramadi. The fighting is slow going, but the outcome now seems virtually assured, as the Iraqi Army nears within a third of a mile of the key complex of government buildings at the center of the city, which had a pre-Daesh population of some 700,000 (i.e. the size of Detroit). Daesh had attempted to assassinate al-Rawi last April, so it was brave of him to show up while Daesh fighters were only half a mile away. “The counter-terrorism forces are within 800 meters (0.5 mile) from the government complex,” advancing by about 1 km in the past day, Rasool said. “Air strikes helped detonate explosive devices and booby-trapped houses, facilitating our advance,” he added. Special operation commander Sami al-Aridhi said the plan was “to liberate all of Ramadi from three sides”. Salam Faraj of AFP did an insightful report on how,this weekend, the Iraqi Army’s advance into Ramadi, in a push that began last Tuesday, was slowed by the tactics of Daesh (ISIL, ISIS) fighters in the center of the city. The foot soldiers of the phony caliphate deployed snipers and roadside bombs in abundance against Iraqi army troops. The Iraqi forces have been provided by the US and NATO with 5,000 shoulder-held AT4 anti-tank missiles and they have been trained on them. The troops are using these weapons to good advantage. Likewise, the US and its allies are intensively bombing the enemy. The US dropped 50 bombs on Daesh positions late this week. 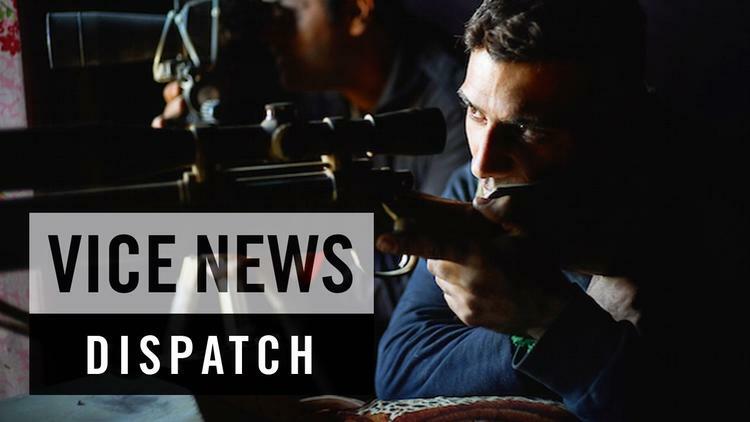 Iraqi military commanders say that they had met unexpectedly light resistance when their offensive began a few days ago, but that as they approached the government building complex in the city center, it grew fierce. 1st Lt. Bashar Husain, of the Counter-Terrorism Force that has spread out in the neighborhood of al-Dubat in the south of the al-Hawz district, said Friday “We are facing numerous obstacles, especially sniping and car-bombing.” Nevertheless, al-Dubat was said to have fallen by Friday night. The layout of the city allows a small number of well-placed snipers and suicide bombers to block the advance of government forces down narrow streets toward the center. Less than 400 Daesh fighters are thought to remain in Ramadi. Others have withdrawn, taking civilian hostages with them. Locals were confident that the assault would succeed, but conceded that it would take time. Daesh fighters are attacking with suicide belt bombs, making themselves human artillery shells, are blowing up houses and setting concealed roadside bombs, deploying snipers, and using mortar fire and RPGs, to stop the army’s advance. Daesh maintains on its social media sites that it has launched a major counter-offensive that has pushed the Iraqi army back. This assertion does not appear to be true. the Iraqi army announced the loss of 3 men and said 13 were injured on Friday in the al-Hawz district. Another obstacle to quick progress is that some few dozen civilian families remain in the downtown area, despite pleas over the past month for all civilians to leave the city. The fall of Ramadi will be an enormous morale-booster to the Iraqi army, which has been the object of cutting criticism since it abruptly withdrew from Mosul 18 months ago. 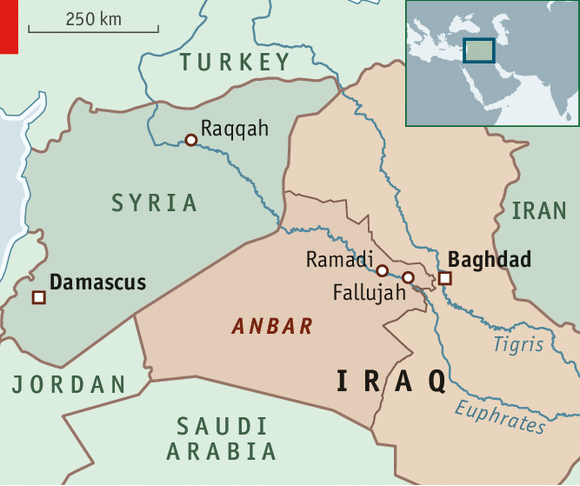 It will also isolate the Daesh position in Falluja.